Roy Grinnell was born in Santa Barbara , California. As an artist, preserving Aviation History on canvas is Roy Grinnell’s forte’ and it has brought him worldwide recognition as an aviation artist of the highest caliber. Roy’s paintings and prints are collected and exhibited world-wide. It would seem his second love was the American west. 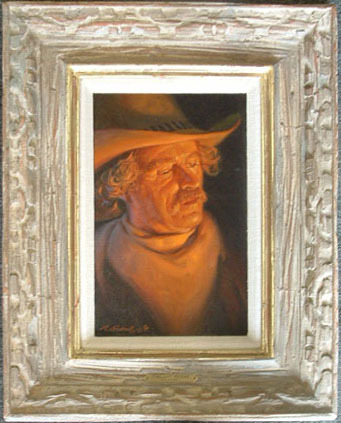 His depiction of the American Indian, the cowboys and the cattle they drove and the land in which they lived are also well documented in the typical “Grinnell” fashion. “Firelight Dreams” Oil on canvas.